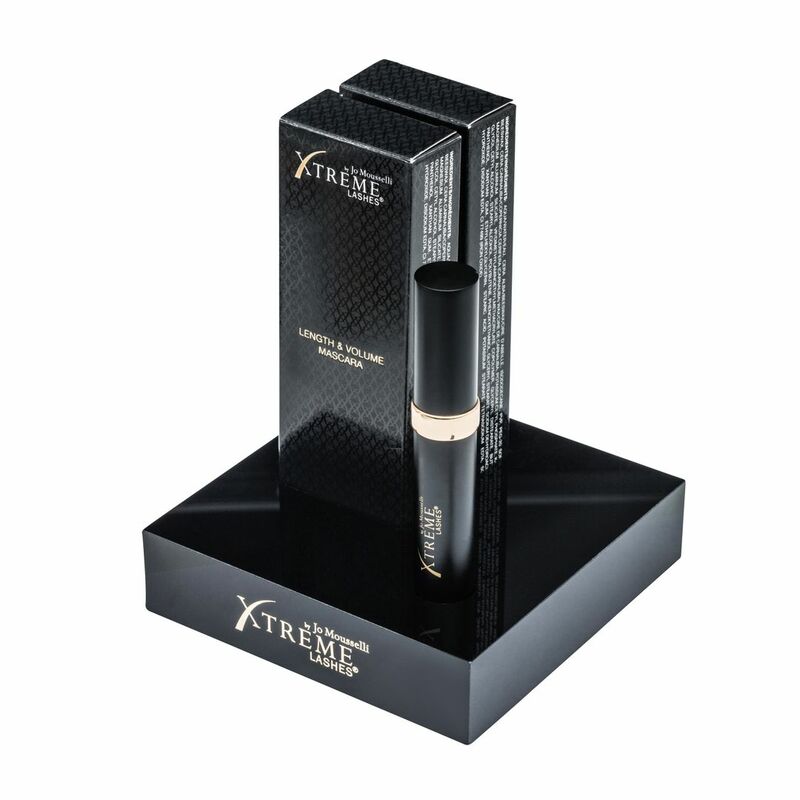 Entice customers to purchase Xtreme Lashes Eyelash Extension Compatible Mascara with the comprehensive Length & Volume Mascara Retail Kit. This Retail Kit comes with 12 units of Length & Volume Mascara, a versatile display block, easel, and a 25-pack of Length & Volume Mascara Postcards. This sleek block display design can be positioned alone for a smaller shelf footprint, or combined with other Xtreme Lashes Retail Block Displays to create a seamless merchandising display, customized for your salon.